Olivia has written a detailed biography of the treasured TV presenter, Sir David Attenborough. 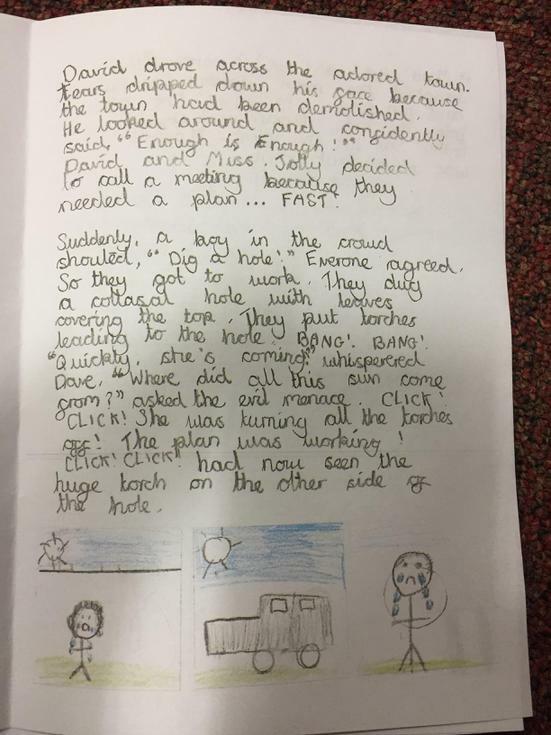 She is beginning to use a range of techniques to interest the reader and improve her writing. Well done, Olivia! Jayden has written a well-balanced debate on whether or not animals should be kept in captivity. He has thought about his conjunctions and sentence openers while also ensuring his handwriting is a sensible size. We have been debating the pros and cons of animals in captivity this week. Kaitlin has written a good balanced argument using conjunctions for clarity. Well done! 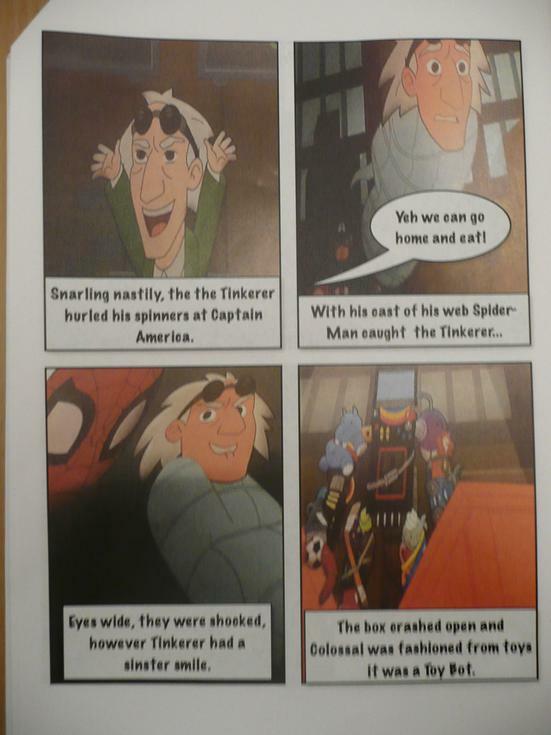 Sam has written a descriptive and entertaining story called Never Flick a Fly. He has used adventurous vocabulary and tried different techniques to entice the reader. 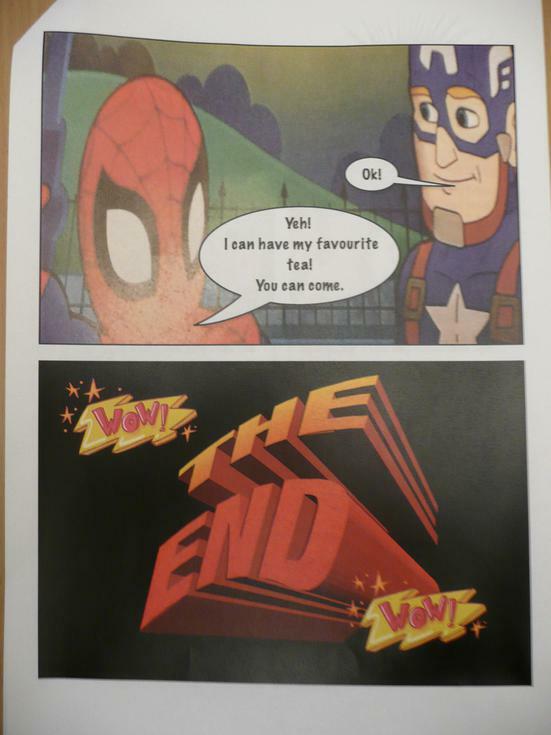 Well done, Sam! 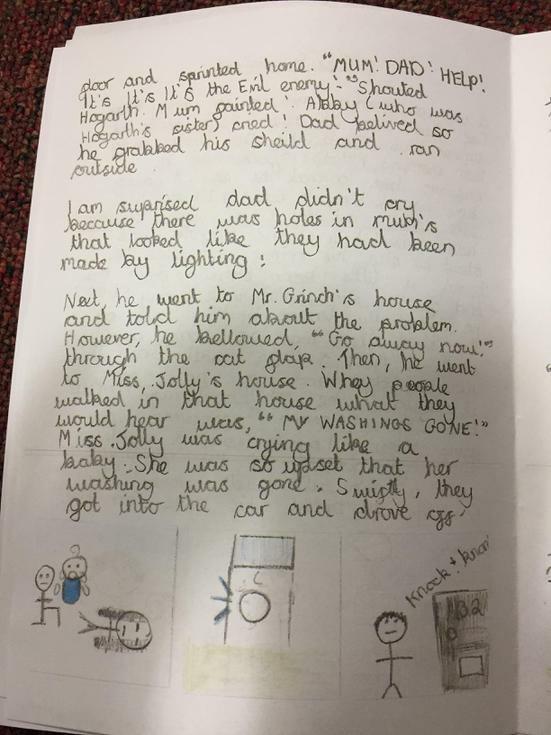 Jessica has worked so hard when writing her story; ensuring all her sentences make sense while also using powerful verbs and adjectives as well as including a range of fronted adverbials. Well done! Kaitlin has written a wonderful setting description of a rainforest; using powerful adjectives and verbs. Great job, Kaitlin! Rosie has tried hard with her writing of rainforest setting; using all the senses to paint a picture for the reader. Well done, Rosie! Through hugging the text of a desert setting description, Ebony has created a fantastic start to a rainforest setting description. Ebony has used lots of different techniques that make her writing enticing for a reader. 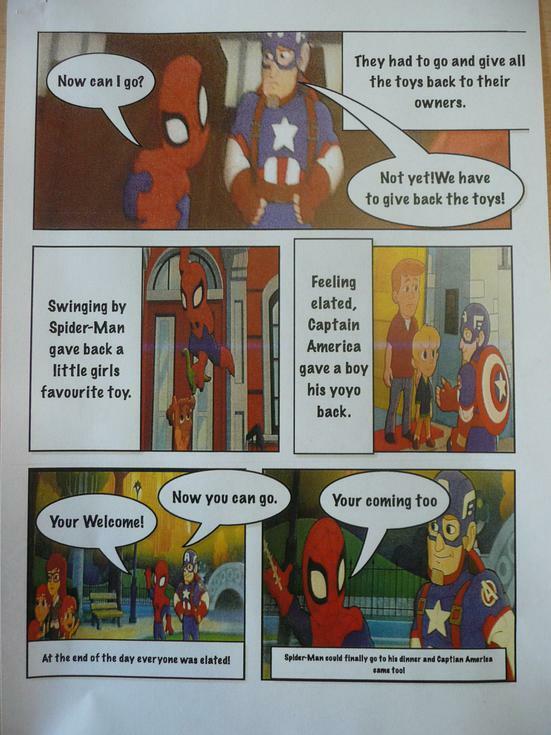 Sophie has used a wide range of vocabulary and punctuation to prepare a comic strip. 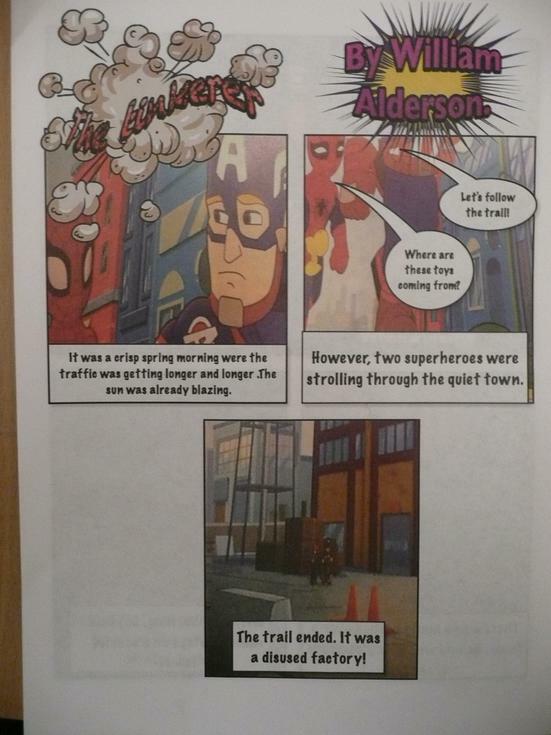 Then, by using an I Pad app named ‘POW’, she has created a professional looking comic strip. Ebony: For working so hard in all Literacy lessons. 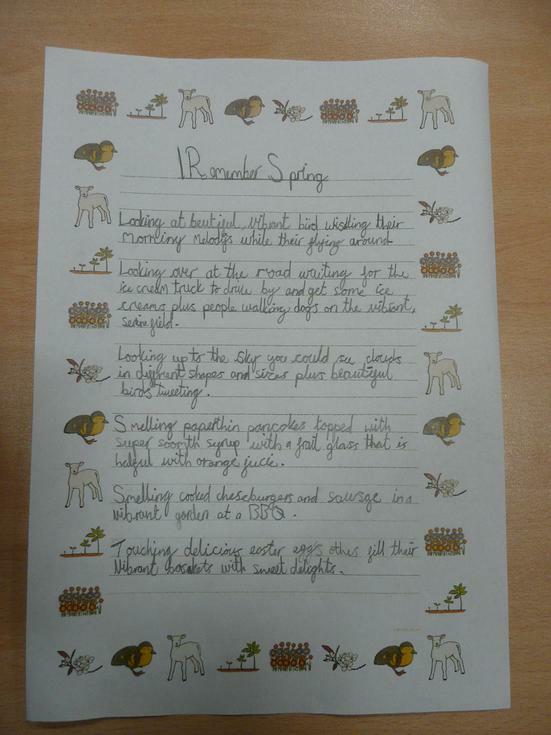 She has produced a great piece of work entitled ' I Remember Spring' which has excellent descriptions throughout to fully engage thee reader. William: for working so hard on your handwriting and presentation as well as attempting to use fronted adverbials in your work. 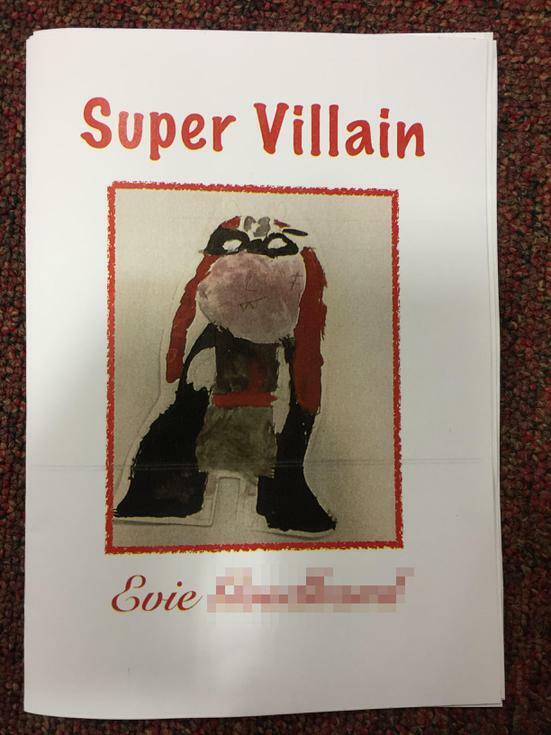 Evie has produced a fabulous book about a dastardly supervillain, called the Evil Enemy. She has used lots of different techniques to entice the reader and is developing a wonderful bank of vocabulary. Well done, Evie. 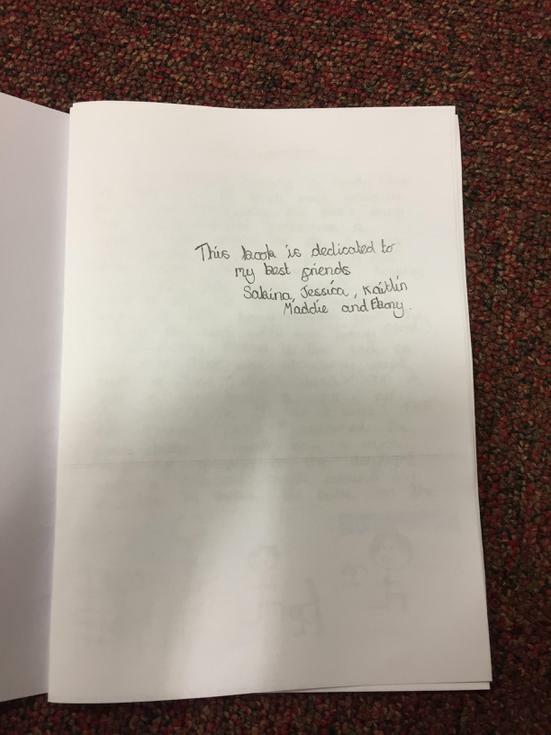 We have a budding author in our midst. 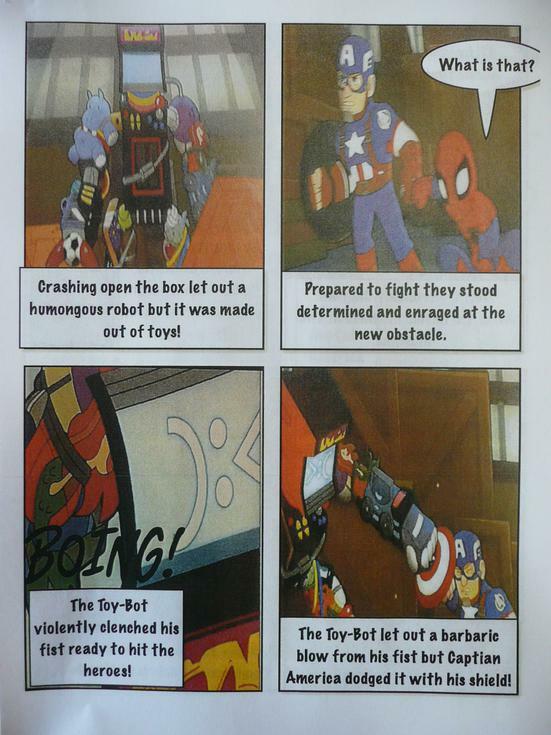 Charley has written a lovely newspaper article on the return of the Iron Man. She has used lots of features of a newspaper report: including reported and direct speech. I could definitely see Charley becoming a roving reporter when she gets older! Well done! 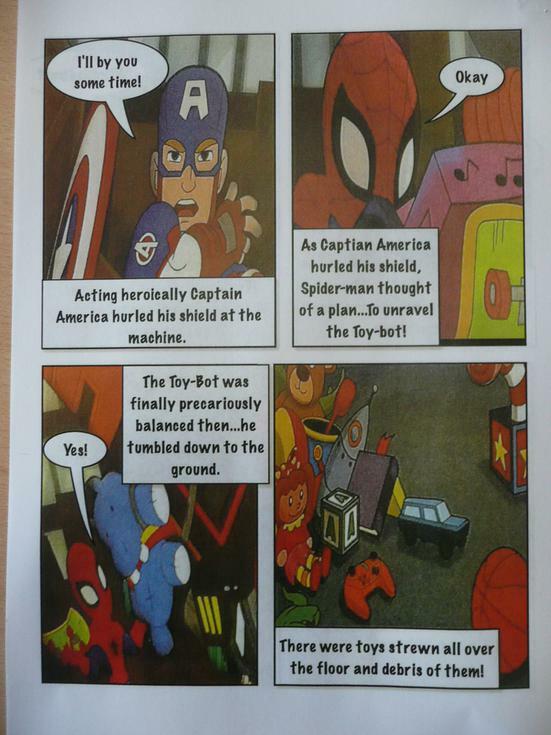 Sophie-May has written a fantastic newspaper report on the Iron Man arriving. She has used reported and direct speech in her article. Sophie-May certainly has the potential to be a journalist when she’s older. Well done! Jayden enjoyed developing a supervillain character, using a mind map, and wrote some lovely sentences to describe him. Well done! 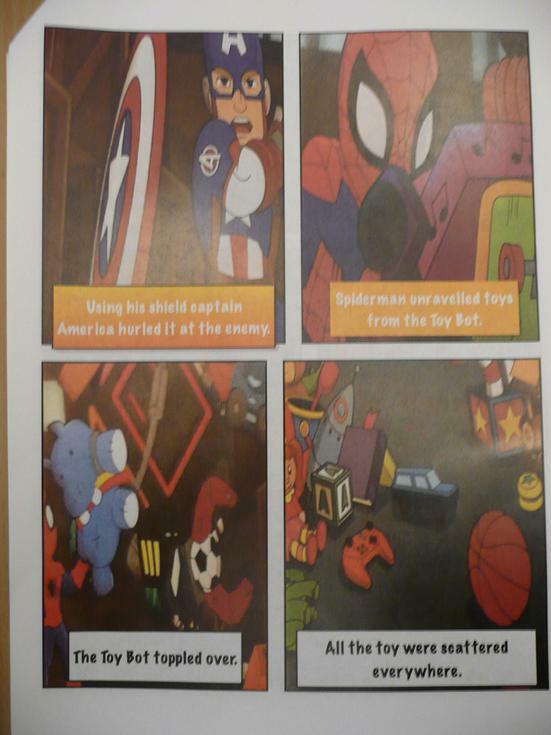 Kaci worked hard this week to compose a superhero poem. She has thought about her description and had a go at rhyming. Well done! 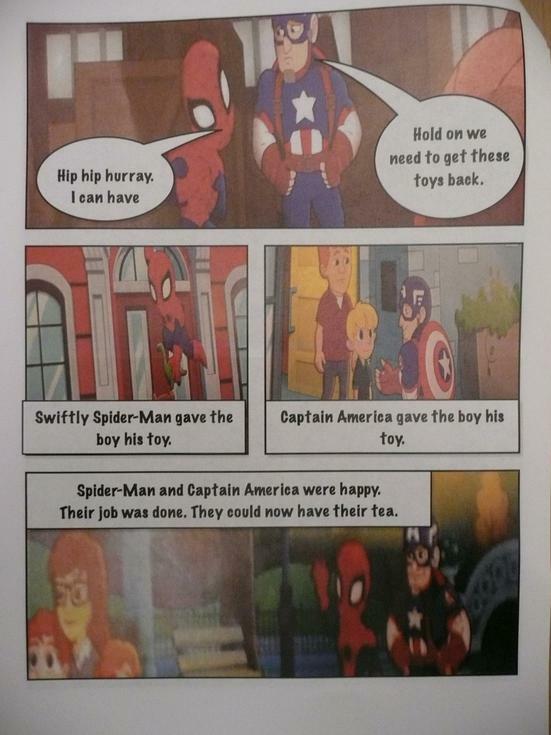 Marlie has written an amusing poem about being a superhero! She has tried really hard to rhyme lines. 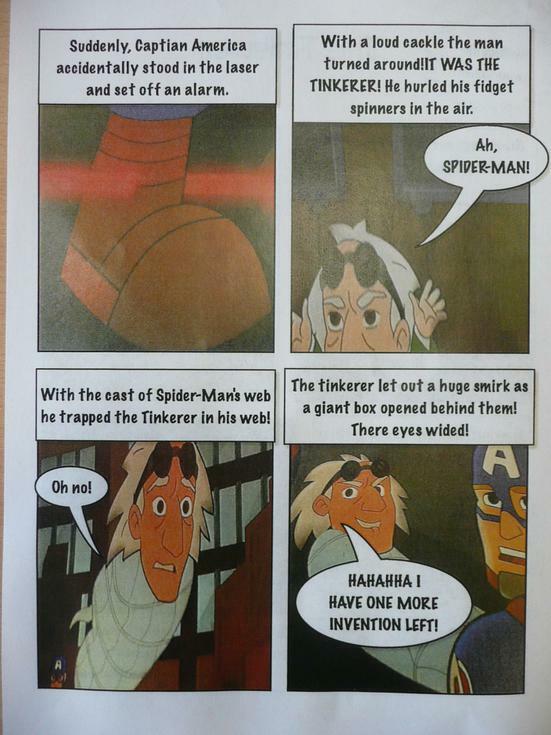 A ‘super’ job, well done! 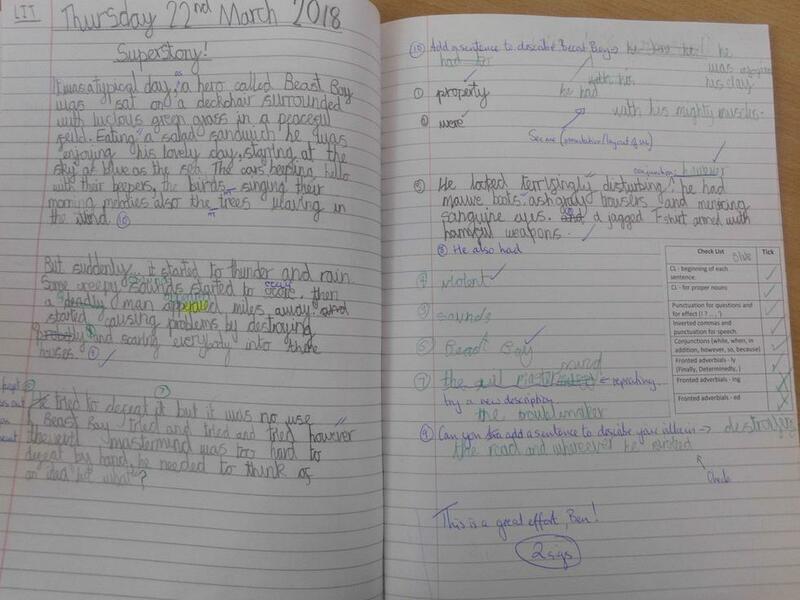 Maddison has tried really hard in her up-levelling session to add conjunctions to her work. Her work shows that she listened carefully in class and then worked independently. This week we wrote a retell of a scene from the Polar Express. 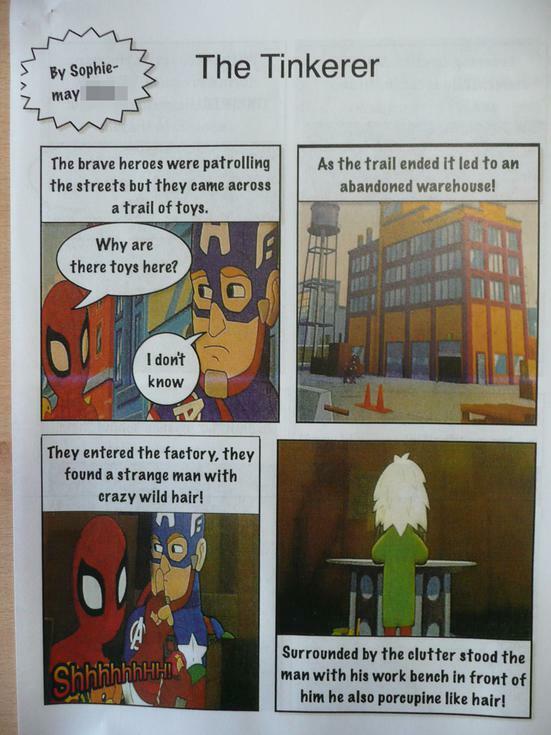 Harley captured the scene perfectly, using fantastic phrases and description. Great job, Harley! Ebony has written a lovely retell of the Viking who was Seasick. She carefully followed her story map and made sure that she included all the details of the story. 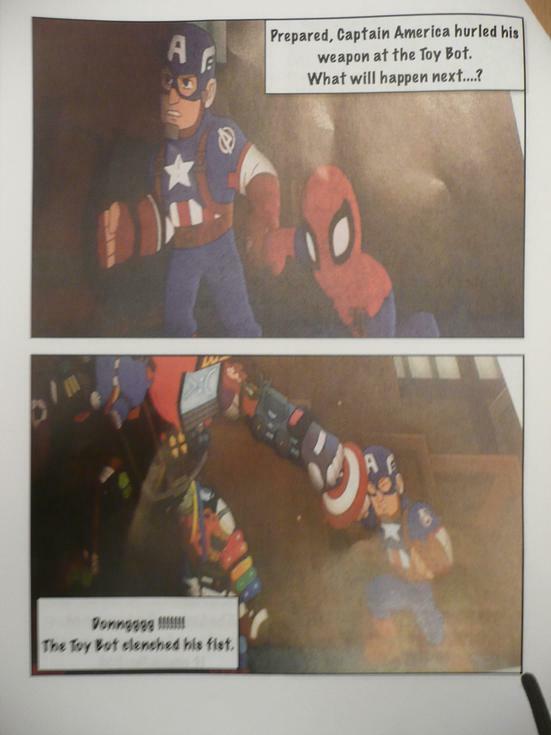 Ebony also remembered to paint a picture for the reader, including lots of wonderful description. Ollie has written a narrative poem packed with new vocabulary to describe a storm at sea. Well done, Ollie. 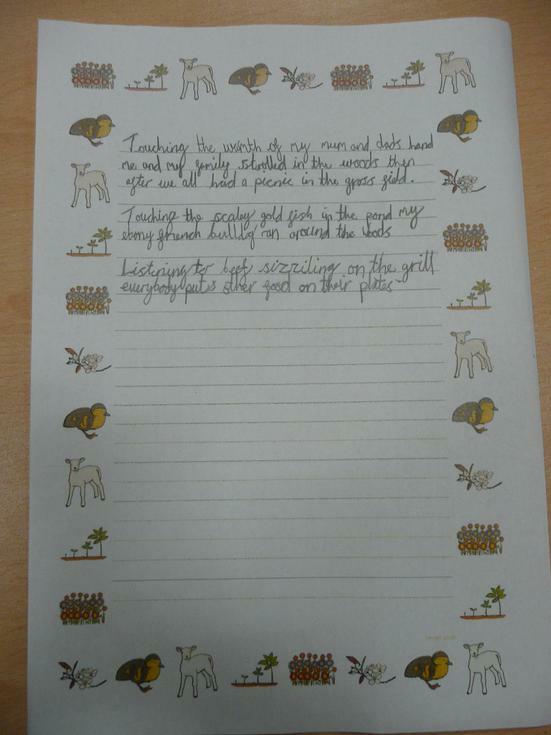 Evie has written a fantastic re-tell of The Night Gardener. She has thought about different ways to open her sentences and also other ways to entice the reader; from adventurous vocabulary to punctualtion. Well done Evie, keep up the good work. Sophie-May has written a lovely character description, using lots of new vocabulary. 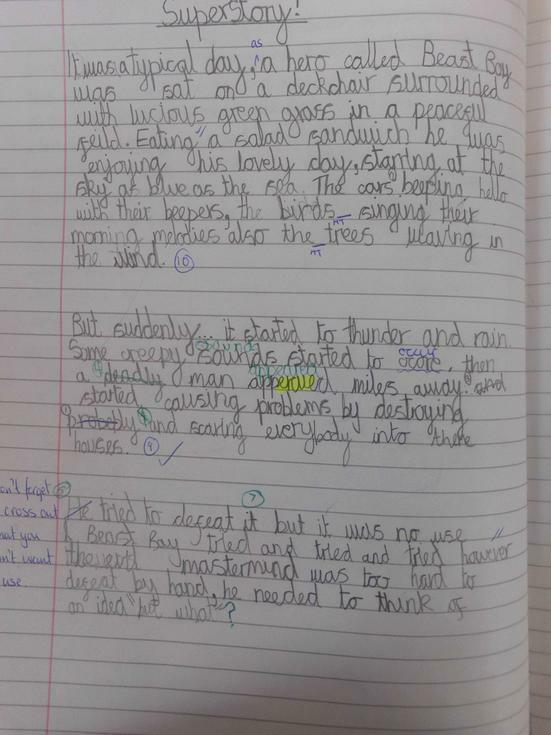 As well as using adjectives, Sophie has also tried to include adverbs in her work. 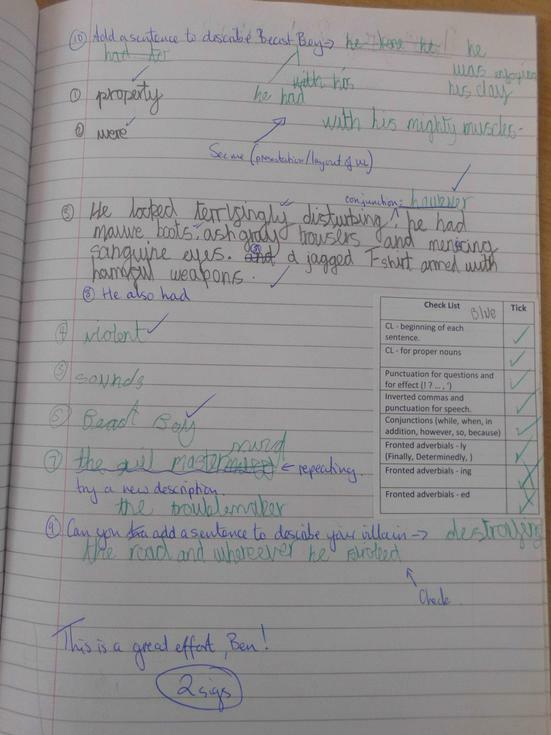 Sophie-May has also read her corrections carefully and up-levelled well. 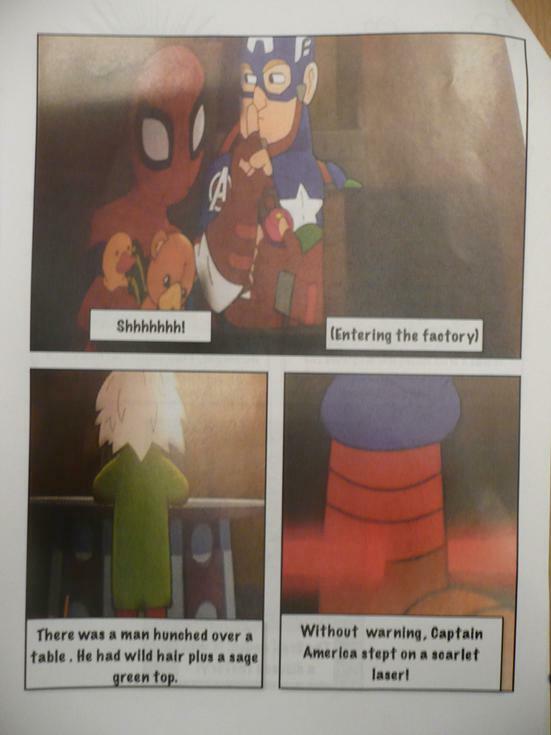 Sam has made a fantastic start to the year in Literacy. He sets a perfect example to the rest of his class because he is always keen to offer vocabulary ideas and experiment with new vocabulary. In his work he has added some good ideas, including similes and ellipses for suspense.